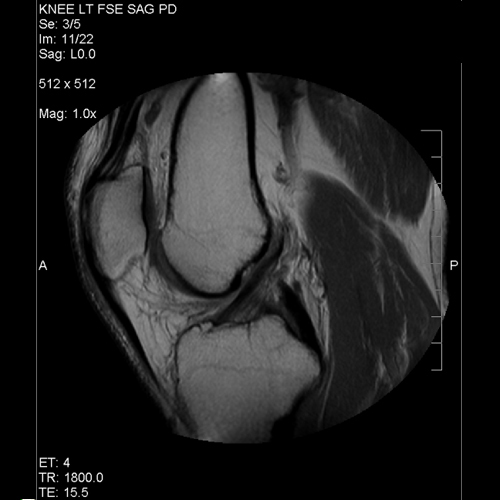 96-100% accurate in determining all posterior cruciate ligament (PCL) injuries. (Fischer JBJS 73A:2-10 1991). 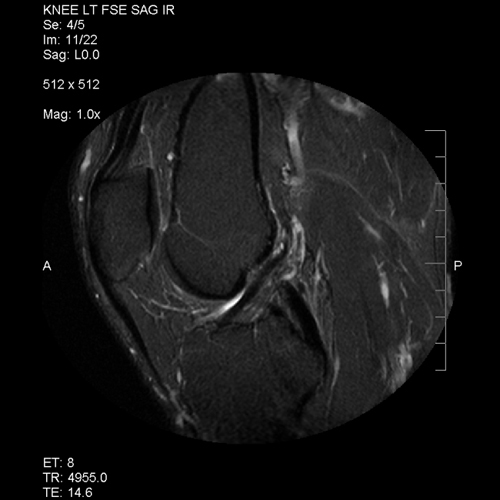 PCL appears as thick dark band extending from the medial femoral condyle to the posterior tibia best seen on oblique sagittal images. 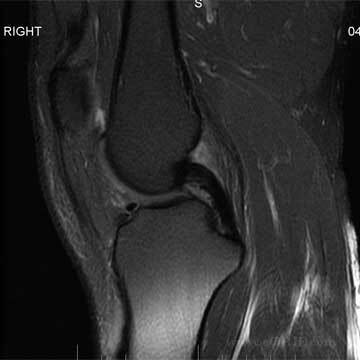 PCL disruption = discontinuity, abnormal course, or fluid signal traversing the ligament on T2 images. 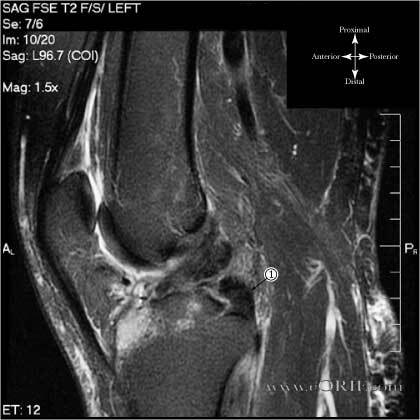 Sagittal FSE T2 MRI of 28y/o male with PCL and ACL tears. Image through the intercondylar notch demonstrating torn PCL shown. 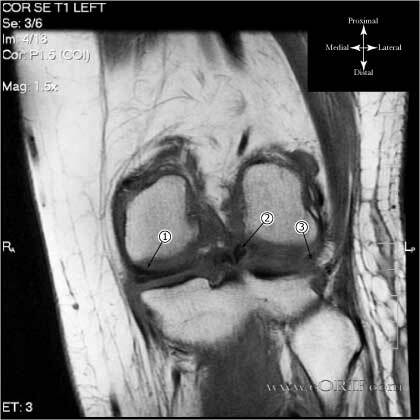 Stump of PCL demonstrating discontinuity with origin on medial femoral condyle and lax, abnormal contour.